As part of their efforts to raise awareness on the dire needs of Malaysian wildlife, World Wildlife Fund Malaysia (WWF-Malaysia), a globally recognised name in wildlife conservation, partnered with INTI International University & Colleges to promote environmental awareness and sustainable living among students, and to encourage them to take up the important role of raising consciousness among their family, friends and communities about the environment. With a strong desire to spread the message on Malaysia’s natural heritage, students from INTI International University (IIU), INTI International College Subang (IICS) and INTI International College Penang (IICP) explored innovative avenues to reach out to their peers and communities by leveraging the skills and knowledge they had gained from their classrooms. At IIU, students pursuing their Foundation Studies focused on turtle conservation, attending lectures to familiarise themselves with the realities of how human activity has impacted Malaysia’s marine life, followed by a week-long exhibition on campus to share what they had learnt with fellow students, staff and visitors. The exhibition also included competitions such as essay writing, spelling bees, public speaking and even an acapella song-writing contest on the topic of turtle conservation – all in a bid to raise awareness. Students also showed off their entrepreneurial skills by selling snacks to raise funds for WWF-Malaysia. 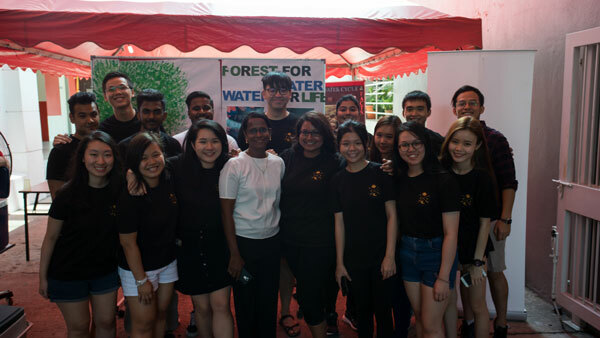 In IICS, students from the School of Hospitality took on the theme of “Forest for Water, Water for Life”, utilising their culinary skills and hospitality knowledge to organise a barbeque fundraising dinner titled “Jungle Party,” The purposeful and fun event hosted 50 INTI staff, students and members of the public, and included a unique menu, mini carnival, and conversations to raise awareness on the importance of Malaysia’s rainforests. Students from the Centre for American Studies also deep dived into forest conversation for nearly two weeks as part of their Biodiversity subject, and complemented the lessons they had learned by organising a two-day fundraising carnival on campus. In IICP, students and staff organised several programmes including a PR campaign titled “Save the Stripes”, dedicated to the iconic Malayan tiger. The programme aimed to create awareness among the general public and provided students the opportunity to explore ways through which they could creatively share the message on this endangered species. In addition to sharing sessions by WWF-Malaysia, students also organised activities such as henna hand painting, face painting, jewellery making and origami folding in a bid to raise funds for this noble cause. Across all campuses, students collectively raised more than MYR 27,300.00, the proceeds of which will be donated in its entirety to WWF-Malaysia. INTI’s partnership with WWF-Malaysia is one of many efforts to include industry and non-governmental organisations’ as part of students’ learning journeys. In doing so, this has enabled students to gain hands on experiences and real-life knowledge that helps prepare them for their future careers and life beyond.